In order to help your fellow diver with any diving eventuality, you need to have the PADI Emergency Oxygen Provider qualification up your sleeve. As a PADI Emergency Oxygen Provider Instructor, you will be able to teach divers how to breathe easy. You will teach them how to recognise conditions that can be treated with emergency oxygen. Once you qualify as a PADI Emergency Oxygen Provider Instructor, you can train divers to be the best diving buddy they can be, prepared to act, especially in a time of need. What can you teach as a PADI Emergency Oxygen Provider Instructor? The PADI Emergency Oxygen Provider Course is a dry course, meaning no diving is required to take this course. You will teach students how to safely assemble and disassemble emergency oxygen equipment, how to safely administer it and about safety considerations. 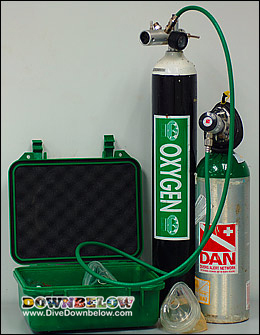 Being a PADI Emergency Oxygen Provider is the minimum requirement.